Denmark produces a number of wonderful small batch aquavits – including aquavits for the spring that include a little bit of lemon and dill along with the classic caraway. The Netherlands makes Genever, a complex malted predecessor to modern dry gins, that is flavored with juniper and, traditionally, a little bit of lemon. Genever and Aquavit work well together in a cocktail – the caraway from the Aquavit and the malt of the Genever combine to make an extraordinarily crisp yet remarkably rye-whisky like flavor profile. 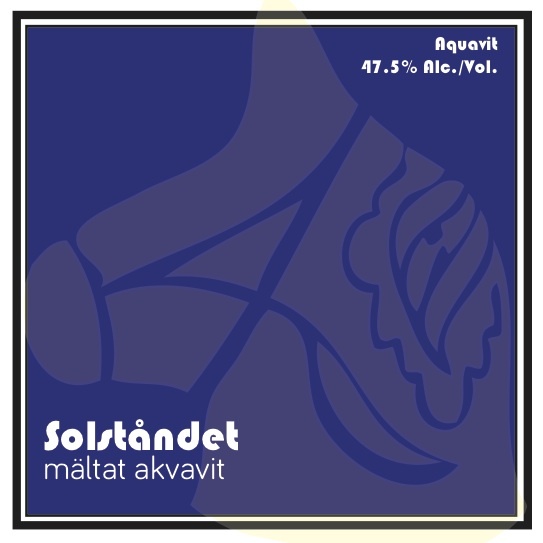 We took inspiration from both to create the first malted aquavit: Solståndet, named for the spring solstice. Stir over ice and then strain into a chilled rocks glass or coupe.Garnish with a cocktail onion.